After getting off to a winning start at the 2015 Barclays ATP World Tour Finals, Roger Federer was presented with two awards by ATP CEO Chris Kermode. 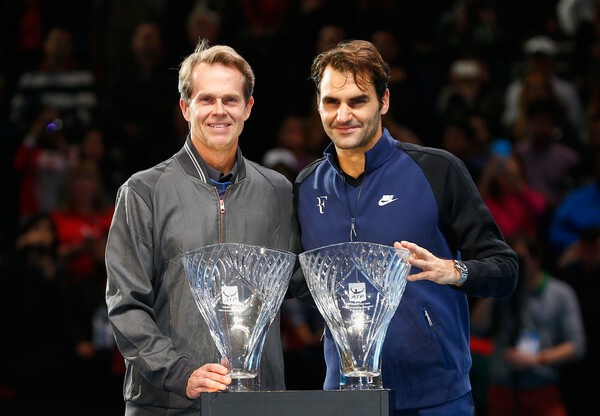 Named on Wednesday and presented Sunday, the Swiss maestro is the winner of the Stefan Edberg Sportsmanship Award for the 11th time, as voted by the players, and the ATP Fans’ Favorite Award for a 13th consecutive time, voted by fans across the world. 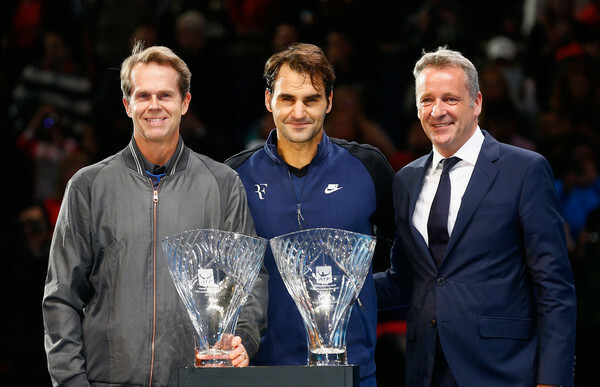 On court at the O2 Arena, the man whom the prestigious award is named after, and now the Swiss maestro’s coach, Stefan Edberg, presented Federer with his Sportsmanship trophy. 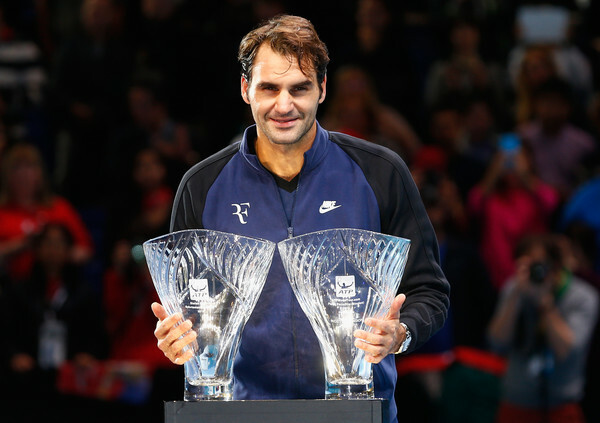 The two achievements in 2015 brings the 17-time grand slam champion’s total to a record 31 ATP World Tour awards.